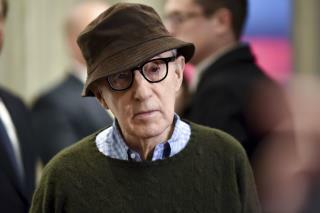 (Newser) – Last year Ronan Farrow slammed the media for protecting his father, Woody Allen, on the sexual abuse allegations surrounding him. Now Farrow's sister, Dylan Farrow, who has detailed the abuse she says she suffered at Allen's hands, takes to the Los Angeles Times to muse on the #MeToo "revolution"—and wonder why that revolution has been "selective" when it comes to her filmmaker father. She wants to know why, in the wake of the Harvey Weinstein scandal that's touched other big names in Hollywood, Allen continues to make movies and score moneymaking distribution deals with companies like Amazon. She gives credit to Allen's legal and PR teams for shielding him, but also "the forces that have historically protected men like Allen: the money and power deployed to make the simple complicated, to massage the story." The good looking guys like Clint Eastwood worked the system in an honorable way by putting their girlfriends in the movies, instead of trying to hump the actresses hired by the casting company. Dylan looks like he's got more Frank Sinatra than Woody Allen in his genetics? Did you ask who is behind these children turning on their father, Woody Allen? Some have opined that it is the ex-wife, is that a surprise? I just saw Mia Farrow in a Hercule Poirot flick and couldn't get over her skeletal appearance and the incongruity of a successful career, even in acting. My experience in my own family of women with eating disorders produced an observation of lives and minds dashed by disease. Farrow's emaciation causes me to suspect mental defect and an unreal view of life and the implications of all things that is so prevalent among the sufferers of self starvation. People in her condition, IME are fixated on food and guided by a 'truth' only they can see ... and it lies in the mirror.